Laparoscopic colon cancer surgery. 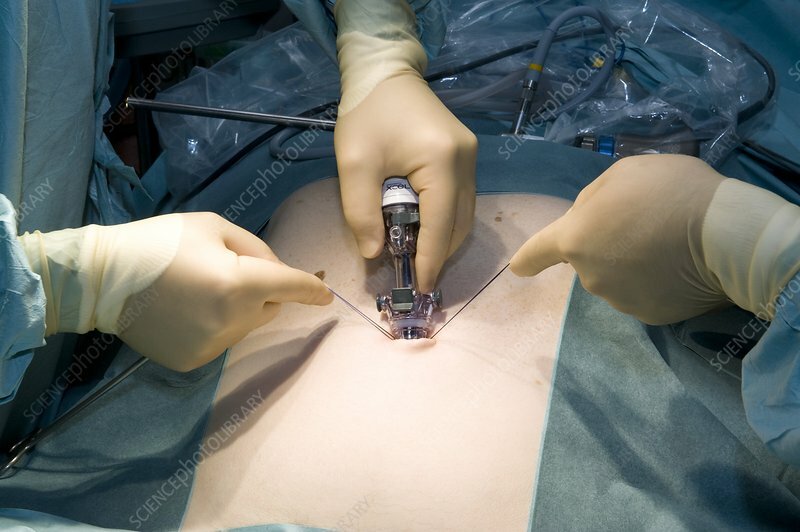 Surgeon inserting a bladeless trocar into a patient's abdomen during a procedure to remove a carcinoma of the colon. The trocar will be used as a channel for the endoscopic instruments used during surgery. Laparoscopy (key hole surgery) is a type of minimally invasive surgery that can be conducted through very small incisions unlike conventional surgical procedures.